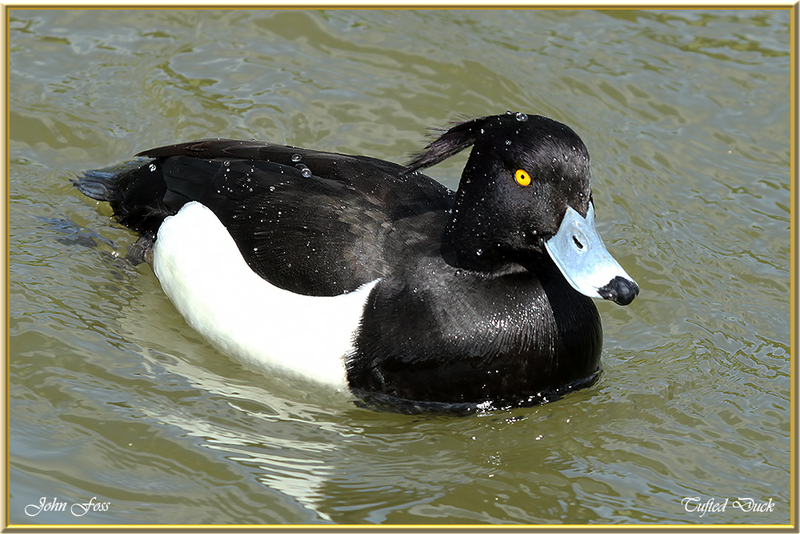 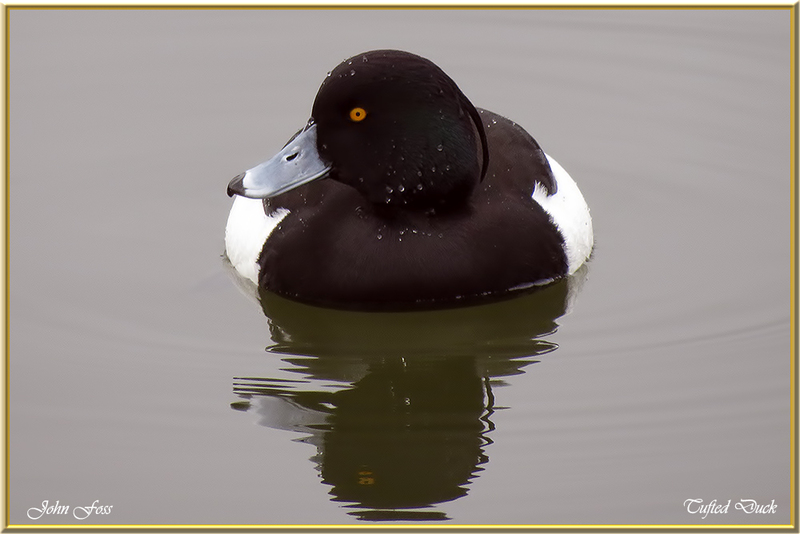 Tufted Duck - The male is usually identified easily by the tuft of feathers at the back of the head. 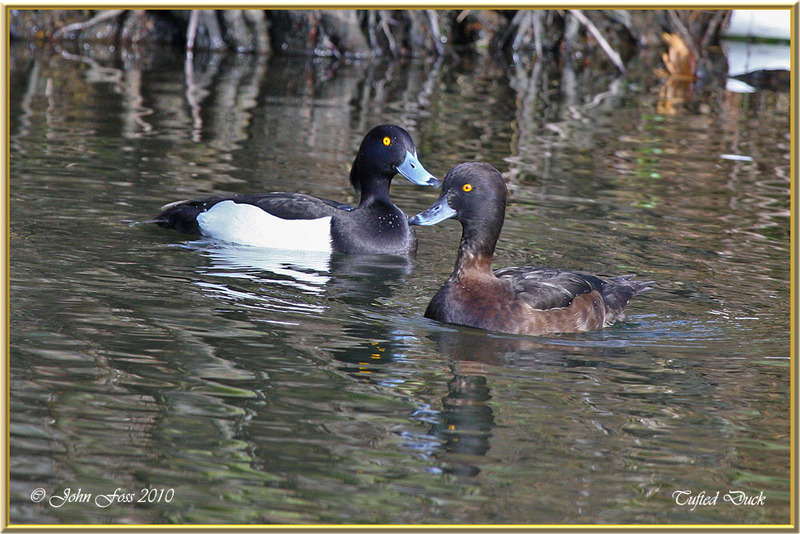 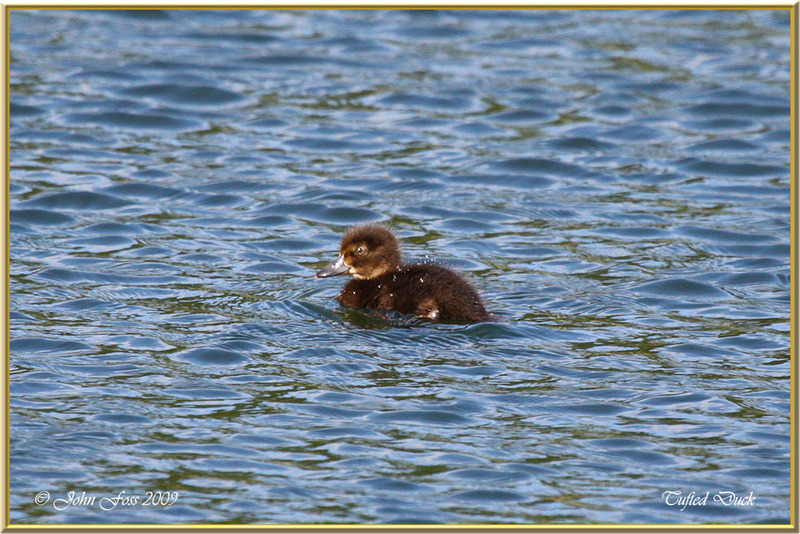 A loan female is sometimes confused with the Scaup. 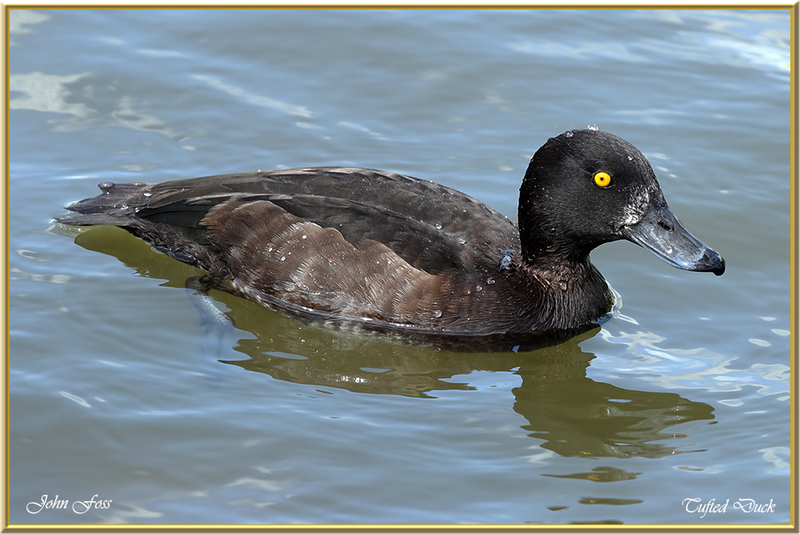 Both sexes have very bright yellow circular iris in large eyes with distinctive large, dark pupil. 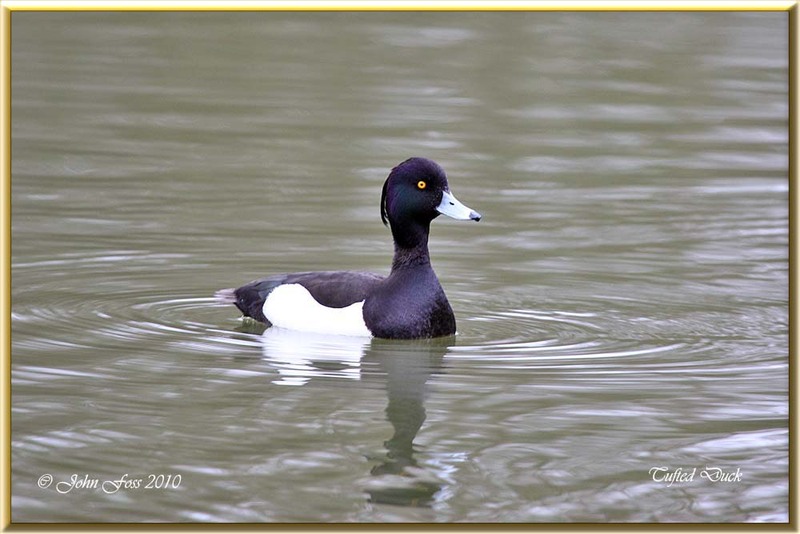 Taken around Derbyshire, Nottinghamshire and Staffordshire UK.